Time perception is an essential element of conscious and subconscious experience, coordinating our perception and interaction with the surrounding environment. 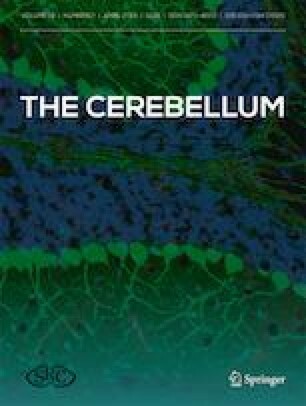 In recent years, major technological advances in the field of neuroscience have helped foster new insights into the processing of temporal information, including extending our knowledge of the role of the cerebellum as one of the key nodes in the brain for this function. This consensus paper provides a state-of-the-art picture from the experts in the field of the cerebellar research on a variety of crucial issues related to temporal processing, drawing on recent anatomical, neurophysiological, behavioral, and clinical research. The cerebellar granular layer appears especially well-suited for timing operations required to confer millisecond precision for cerebellar computations. This may be most evident in the manner the cerebellum controls the duration of the timing of agonist-antagonist EMG bursts associated with fast goal-directed voluntary movements. In concert with adaptive processes, interactions within the cerebellar cortex are sufficient to support sub-second timing. However, supra-second timing seems to require cortical and basal ganglia networks, perhaps operating in concert with cerebellum. Additionally, sensory information such as an unexpected stimulus can be forwarded to the cerebellum via the climbing fiber system, providing a temporally constrained mechanism to adjust ongoing behavior and modify future processing. Patients with cerebellar disorders exhibit impairments on a range of tasks that require precise timing, and recent evidence suggest that timing problems observed in other neurological conditions such as Parkinson’s disease, essential tremor, and dystonia may reflect disrupted interactions between the basal ganglia and cerebellum. The complex concepts emerging from this consensus paper should provide a foundation for further discussion, helping identify basic research questions required to understand how the brain represents and utilizes time, as well as delineating ways in which this knowledge can help improve the lives of those with neurological conditions that disrupt this most elemental sense. The panel of experts agrees that timing control in the brain is a complex concept in whom cerebellar circuitry is deeply involved. The concept of a timing machine has now expanded to clinical disorders. This work was supported by a grant from the EU H2020 Marie Skłodowska RISE project #691110 (MICROBRADAM); National Institute of Health (NS092079); European Union grant Human Brain Project (HBP-604102). There are no potential conflicts of interests regarding this paper and no financial or personal relationships that might bias this work. D’Angelo E. Rebuilding cerebellar network computations from cellular neurophysiology. Front Cell Neurosci. 2010;4:131. https://doi.org/10.3389/fncel.2010.00131. Mapelli L, Pagani M, Garrido JA, D’Angelo E. Integrated plasticity at inhibitory and excitatory synapses in the cerebellar circuit. Front Cell Neurosci. 2015;9:169. https://doi.org/10.3389/fncel.2015.00169. Ramakrishnan KB, Voges K, De Propris L, De Zeeuw CI, D’Angelo E. Tactile stimulation evokes longlasting potentiation of Purkinje cell discharge in vivo. Front cell Neurosci. 2016;10:36. https://doi.org/10.3389/fncel.2016.00036. Gandolfi D, Lombardo P, Mapelli J, Solinas S, D’Angelo E. Theta-frequency resonance at thecerebellum input stage improves spike timing on the millisecond time-scale. Front Neural Circuits. 2013;7:64. https://doi.org/10.3389/fncir.2013.00064. Filip P, Lungu OV, Shaw DJ, Kasparek T, Bareš M. The mechanisms of movement control and time estimation in cervical dystonia patients. Neural Plast. 2013;2013:908741. https://doi.org/10.1155/2013/908741. Najafi F, Medina JF. Beyond “all-or-nothing” climbing fibers: graded representation of teaching signals in Purkinje cells. Front Neural Circuits. 2013;7:115. https://doi.org/10.3389/fncir.2013.00115. Beyer L, Batsikadze G, Timmann D, Gerwig M. Cerebellar tDCS effects on conditioned eyeblinks usingdifferent electrode placements and stimulation protocols. Front Hum Neurosci. 2017;11:23. https://doi.org/10.3389/fnhum.2017.00023. Avanzino L, Pelosin E, Vicario CM, Lagravinese G, Abbruzzese G, Martino D. Time processing andmotor control in movement disorders. Front Hum Neurosci. 2016;10:631. https://doi.org/10.3389/fnhum.2016.00631. Gao L, Zhang J, Hou Y, Hallett M, Chan P, Wu T. The cerebellum in dual-task performance inParkinson’s disease. Sci Rep. 2017;7:45662. https://doi.org/10.1038/srep45662. Jones CRG, Claassen DO, Yu M, Spies JR, Malone T, Dirnberger G, Jahanshahi M, Kubovy M. Modeling accuracy and variability of motor timing in treated and untreated Parkinson’s disease and healthy controls. Front Integr Neurosci. 2011;5:81. https://doi.org/10.3389/fnint.2011.00081. Filip P, Lošák J, Kašpárek T, Vaníček J, Bareš M. Neural network of predictive motor timing in thecontext of gender differences. Neural Plast. 2016;2016:2073454. https://doi.org/10.1155/2016/2073454. Passamonti L, Cerasa A, Quattrone A. Neuroimaging of essential tremor: what is the evidence for cerebellar involvement? Tremor Other Hyperkinet Mov (N Y). 2012;2:02-67-421-3. https://doi.org/10.7916/D8F76B8G. Gitchel GT, Wetzel PA, Baron MS. Slowed saccades and increased square wave jerks in essential tremor. Tremor Other Hyperkinet Mov. 2013;3:tre-03-178-4116-2. https://doi.org/10.7916/D8251GXN.